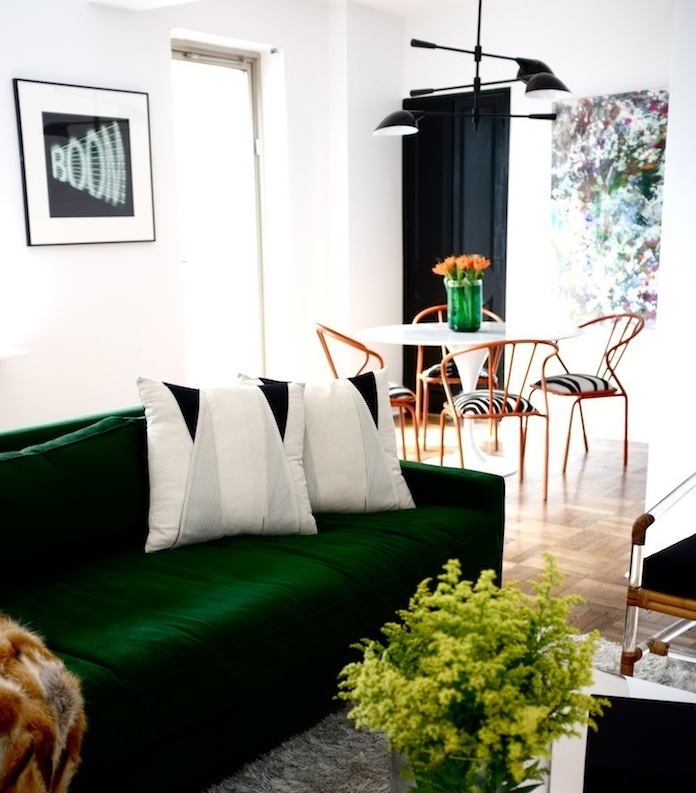 I came across this apartment at sketch42blog and and just had to share it. 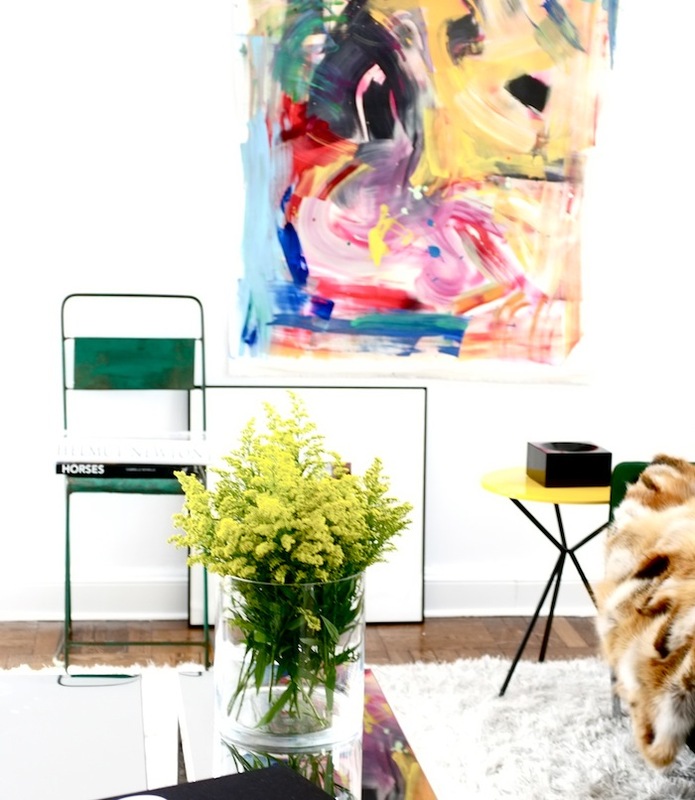 It’s a bachelor pad if you please. 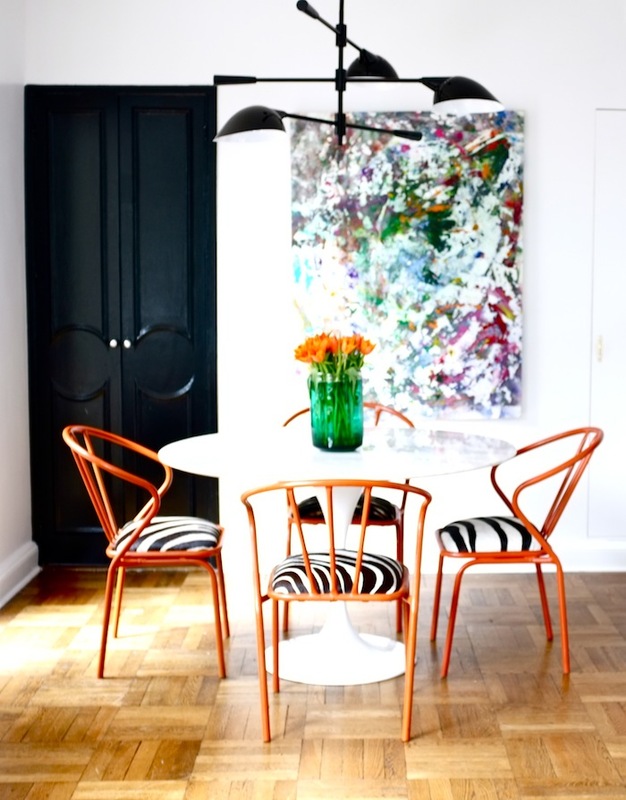 I just love the colors, the art, these amazing dining chairs and of course the lamp above the Tulip dining table. 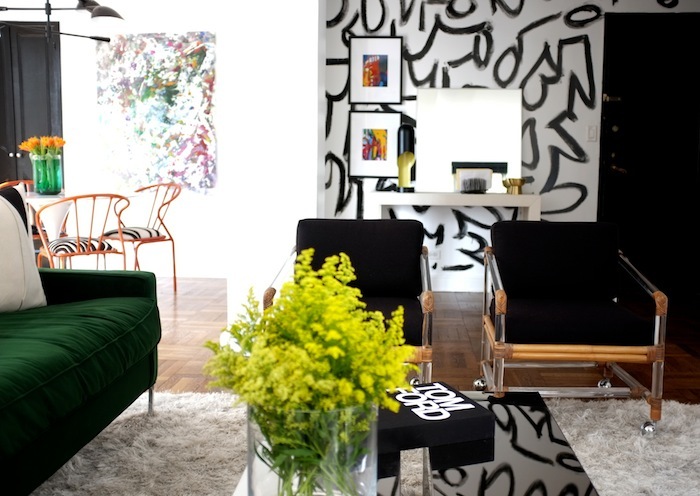 a bold graphic wall, so simple yet so effective…………. 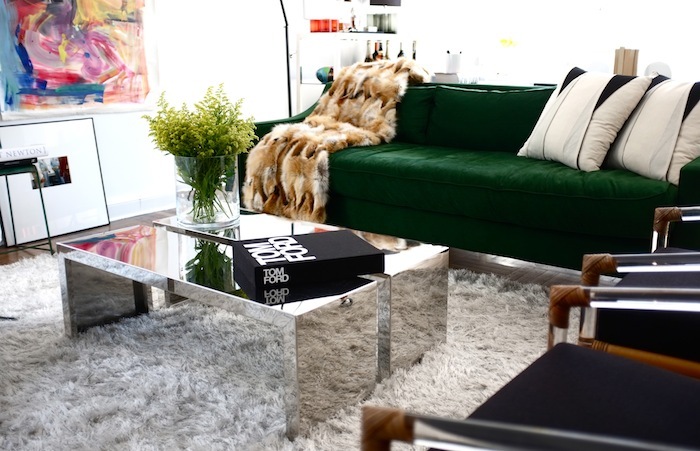 love these coffee tables , don’t you ?